How do I know if my child has a severe food allergy? Home » Dad » How do I know if my child has a severe food allergy? Being a dad to a child living with a severe food allergy can be a scary experience. According to the Centers for Disease Control, common symptoms of food allergies include coughing, a tingling sensation in the mouth, swollen throat and tongue, hives, vomiting, rashes, dizziness and general difficulty breathing. Additionally, in extreme cases, a child may enter into anaphylactic shock – a potentially fatal condition. Yes, it sounds scary, but there's good news – once you identify this condition, it becomes much easier to avoid and manage. 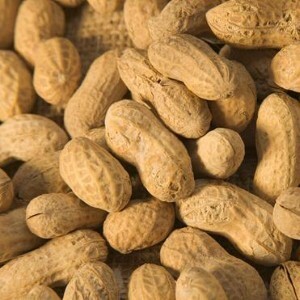 However, determining the existence of a food allergy before it strikes can be a difficult task. As a father, it's likely you've considered the dangers of your child developing a food allergy. But how can you identify this potential ailment beforehand to help your son or daughter avoid a severe allergic reaction? The best place to start is with your family history. If you or a close family member suffers from allergies, eczema or asthma, there's a chance that your child may be genetically predisposed to such a condition. The most common products associated with food allergies are cow's milk, shellfish, soybeans, wheat, eggs, peanuts, tree nuts and fish – accounting for approximately 90 percent of all cases. Should you discover that your child exhibits any of the usual allergic reactions after eating one of these foods – numbness, discomfort, swelling or an odd taste – you may want to immediately take him or her to a doctor for further testing. In some cases, a bad reaction may be the result of an alternate condition such as lactose intolerance. However, you'll only be able to make informed dietary decisions for your child based on a doctor's or allergy specialist's expertise. Once you've determined that your child has to deal with this unfortunate dilemma, you can be prepared. For instance, make sure you have an epipen ready to treat sudden exposure. You should also inform teachers and the school nurse about your little one's allergy so that he or she can be cared for away from home. This will also help parents comply when bringing in food during class parties.